Recently, I attended the first ever BBC Good Food Eat Well Show – an event dedicated to healthy eating and special dietary needs, including gluten free diets. This was the first time I have attended a food show and I was hugely impressed at the amount on offer, which included over 70 stalls where you could try out and purchase various products, the ‘Eat Well Forum’ and an Interview Stage where you could query the experts, a Dietitian’s Clinic and the ‘Healthy Kitchen’ where you could watch celebrities and chefs creating exciting dishes from which to grab inspiration. I attended on the sunday so I saw Hemsley + Hemsley and Lorraine Pascale! Among the exhibitors I spotted various Gluten Free companies including BFree, Delicious Alchemy and HECK to name just a few. It was great to speak to the companies first hand, get better idea of the products available and to try before you buy! The ladies at the BFree Stand were particularly helpful and were happy for me to sample everything, they also had some great offers available and I managed to stock up on gluten free bread and wraps at very reasonable price. 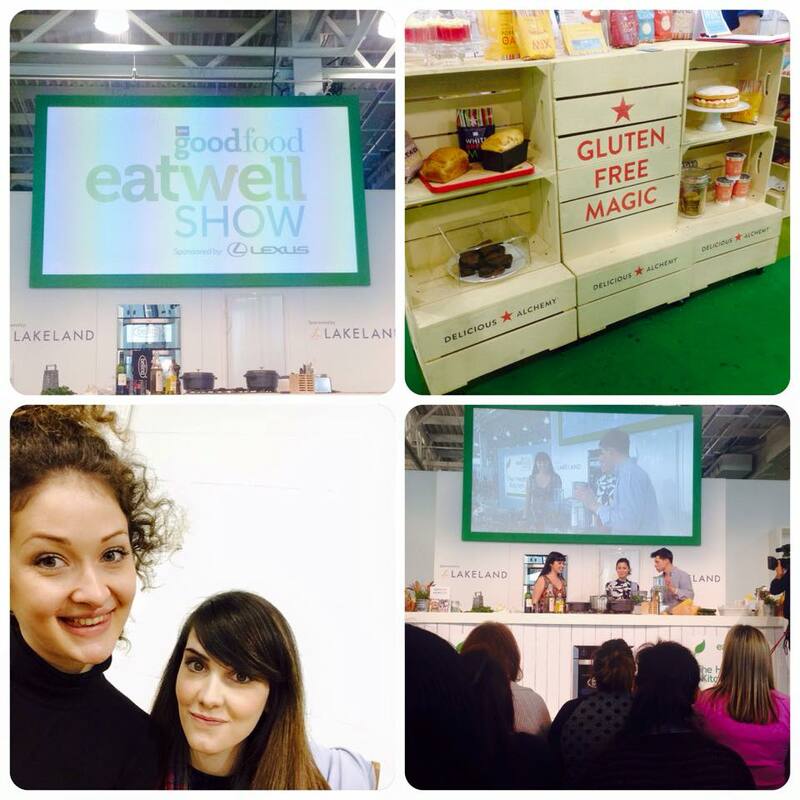 I would highly recommend attending the BBC Eat Well Show and I am already looking forward to next year – I hope they will expand the show to include more gluten free products. These shows are also a very good idea for newly diagnosed Coeliacs to attend, as it gives them the opportunity to try gluten free products without spending a fortune and to stock up very cheaply. You can also find out more about the BBC Good Food Eat Well Show at http://www.bbcgoodfoodeatwellshow.com. If you want to keep up to date with my kitchen adventures you can follow me @titchyton on Instagram or you can find me on my Facebook page.